We took some time to speak with Riya Jay, a menswear specialist from Blank Label’s Chicago Pattern Room about her favorite fall/winter fabrics, what makes worsted different than woolen and why more guys should wear herringbone. BL: What are some of your favorite fall/winter fabrics? RJ: Heading into cooler temperatures, you’re going to be thinking more about woolen fabrics. That includes tweed, flannel—and for topcoats—cashmere. Those are the three I would highlight as my favorites. 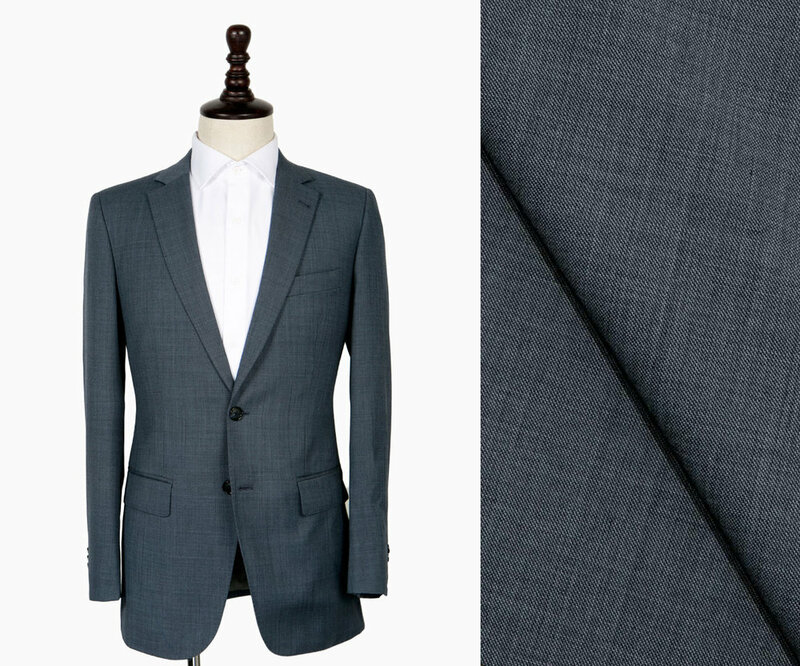 A light grey flannel suit. BL: On the flip side, what are some of your favorite year-round fabrics? RJ: Year-round fabrics that are going to transfer well to warmer temperatures are your twills, your gabardines and then any worsted or sharkskin kind of fabrics. When you get into the warmer season you can start thinking about more of the cotton-based fibers like corduroy and chino, and obviously linen. BL: What is it that sets worsted wool apart from other wools? RJ: The biggest difference between worsted and woolen is that woolen is going to be what’s called a carded yarn. A carded yarn traps a lot of air when it’s being spun. It also gives it a specific kind of texture and a more “bouncy” weave. Tweed, flannels and cashmere are made this way. Worsted yarns are done differently. They are combed and spun in parallels so they’re smoother and they don’t have that “flyaway” feature you’ll see if you get really close to a woolen fabric. 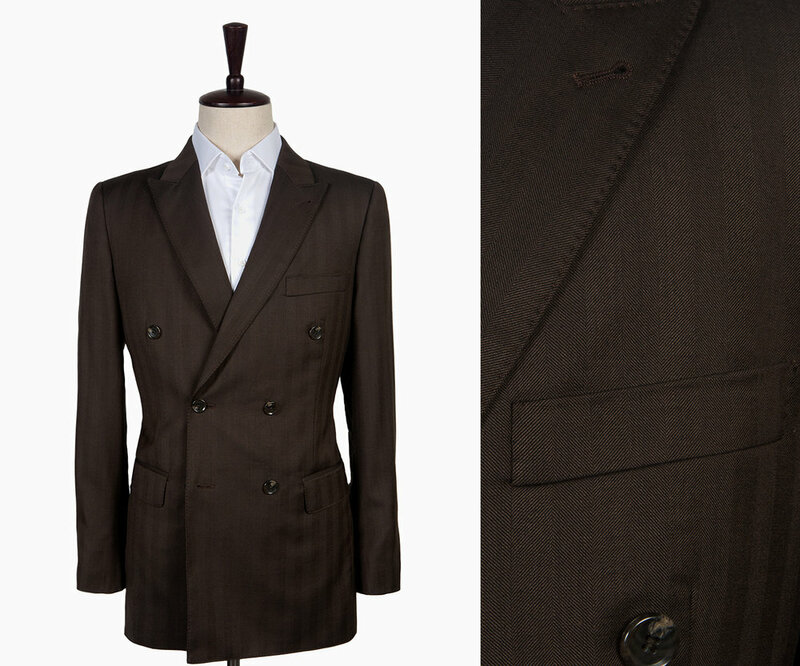 Worsted fabrics are what you typically think of when you talk about a classic sharkskin suit. They are spun for the opposite effect, they want to eliminate air so they’re tighter and more lustrous and have a better drape. BL: Would a looser weave, like in the case of a flannel, be more insulating than a tighter weave? RJ: Correct. The aim is to try and trap air, and when you do that it’s going to insulate a little bit more. It’s going to be thicker than a worsted, because a worsted is more finely done and has a finer weight. But worsted is still going to be warm, because it’s wool. You can wear it in the wintertime, but it’s still going to be breathable. BL: Is there a fabric that you think is underrated? RJ: Personally, I think hopsack is a little underrated. I feel like people think it’s not as sophisticated, but in a basic, foundational navy it’s easy to pair with anything and you can wear it in the evening time, spring or summer. It’s easier to wear as a separate and I think it’s a much more versatile piece than it gets credit for. It can be sophisticated if you just wear the right kind of underpinnings. 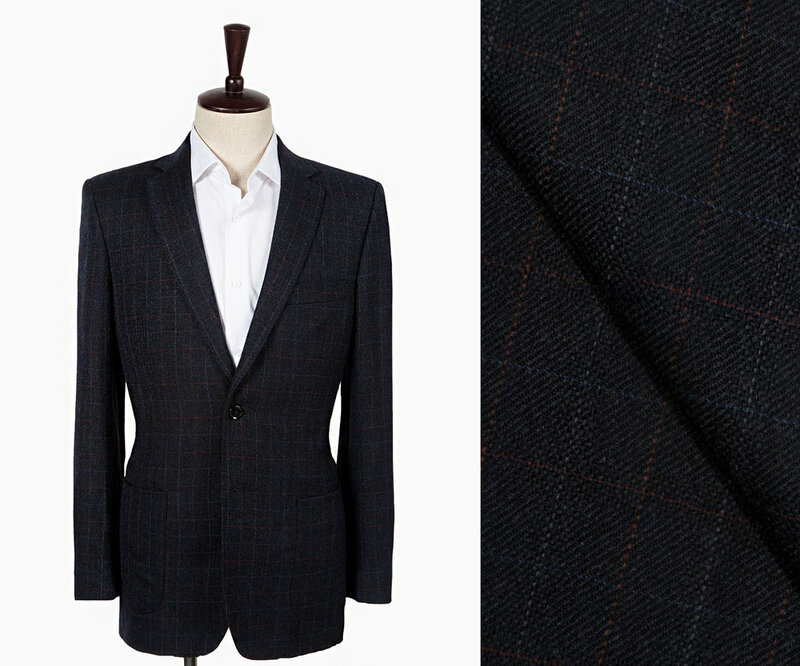 A navy hopsack windowpane suit. BL: Do you have a favorite fabric? RL: Gabardine is probably my personal favorite. I like the finish of it, because it has this diagonal weave that’s quintessential gabardine. It has this sort of luster that’s not shiny, but has a really beautiful drape with a little bit of weight to it because it’s tightly woven. A navy gabardine is my all-time favorite. BL: Not fabric-wise but pattern-wise, are there any fall/winter patterns that you get excited about? RL: My favorite is herringbone. I know that some people think of it as being old-fashioned, or an “old guys” pattern. I just disagree. It has a beautiful sort of English country affect to it, and it’s just perfect for the season. We have a beautiful brown herringbone fabric right now.